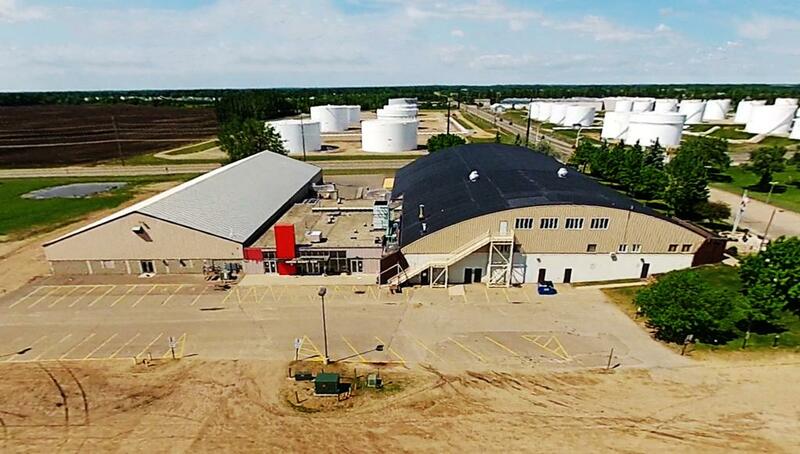 Alexandria Runestone Community Center is located at 803 3rd Ave West within the Douglas County Fairgrounds across from the Williams Brothers pipeline terminal in centrally located Alexandria, Minnesota. 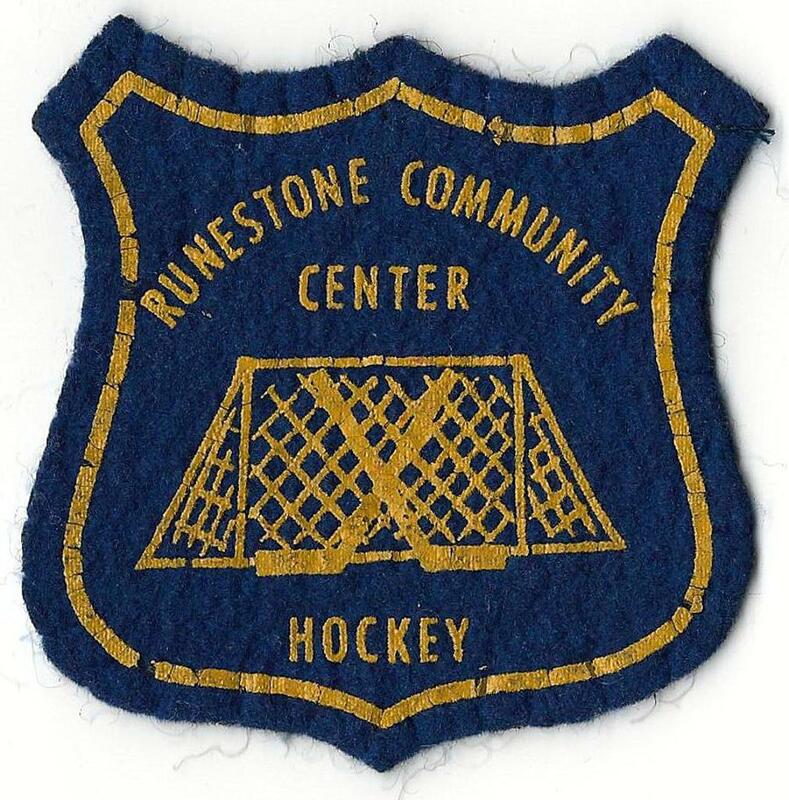 The Runestone Community Center Corporation originated with a citizen group initially of concerned with the absence of any positive action for the development of an ice arena/multi-purpose building in Alexandria. 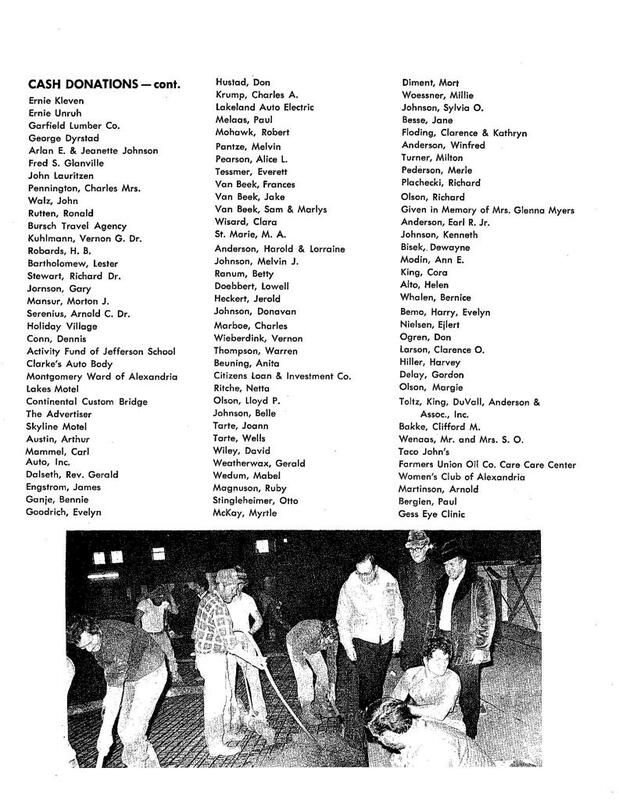 The group was a cross section of business and community people, some of whom had been working on the City Council Capital Improvements Committee, and some of whom had been involved in other developmental efforts for Alexandria. 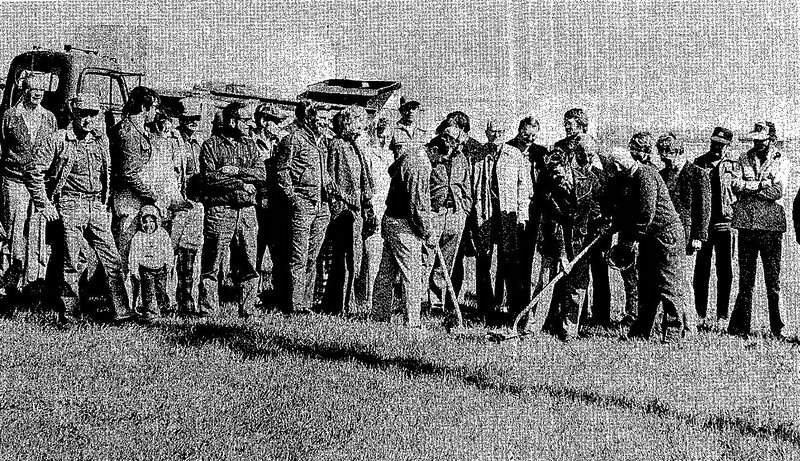 The initial meeting took place on March 22, 1975, when a suggestion was made that the group contact a professional fund raising organization. 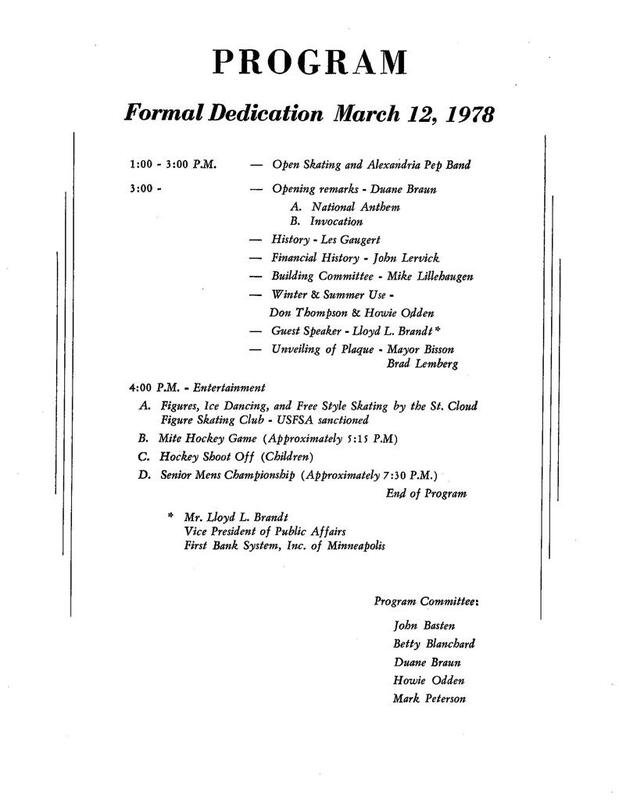 This was followed by a meeting of many of the same people on April 4, 1975, when a decision was made to form a non-profit, tax exempt corporation to serve as the vehicle for organization, administration, and fund raising for these purposes. 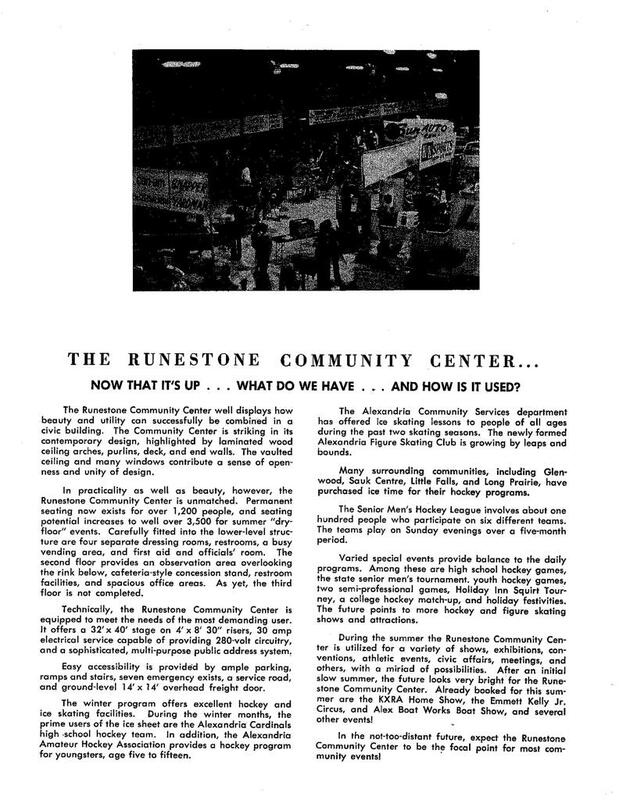 On May 6, 1975 a special meeting of the first Board of Directors of the Runestone Community Center Corporation was held. 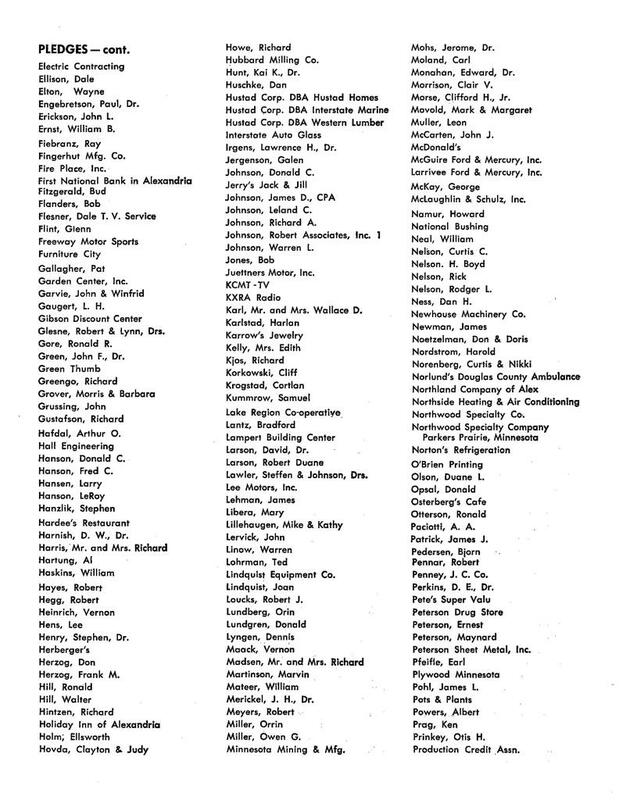 The corporation agreed to borrow $3,500 from the First National Bank with the repayment of the note guaranteed by all eleven board members. 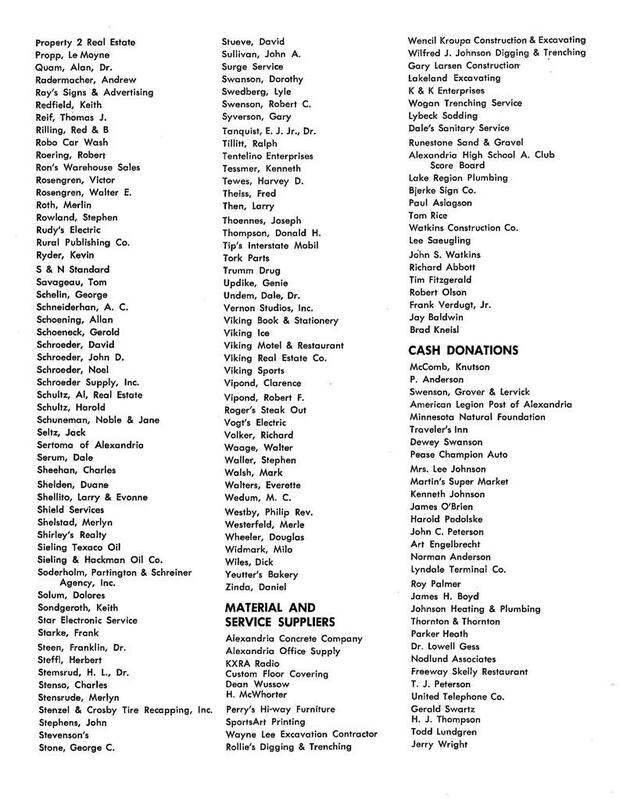 The purpose of the loan was to provide the initial payment to the professional fund raising firm of Ward, Dreshman & Reinhardt. 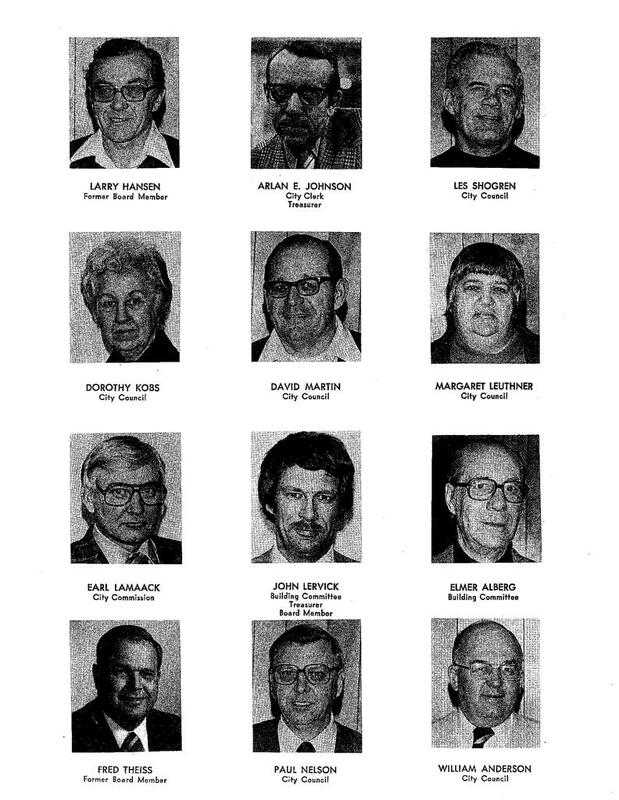 On May 22, 1975, the campaign executive committee was formed and a $500,000 goal for the campaign was established. 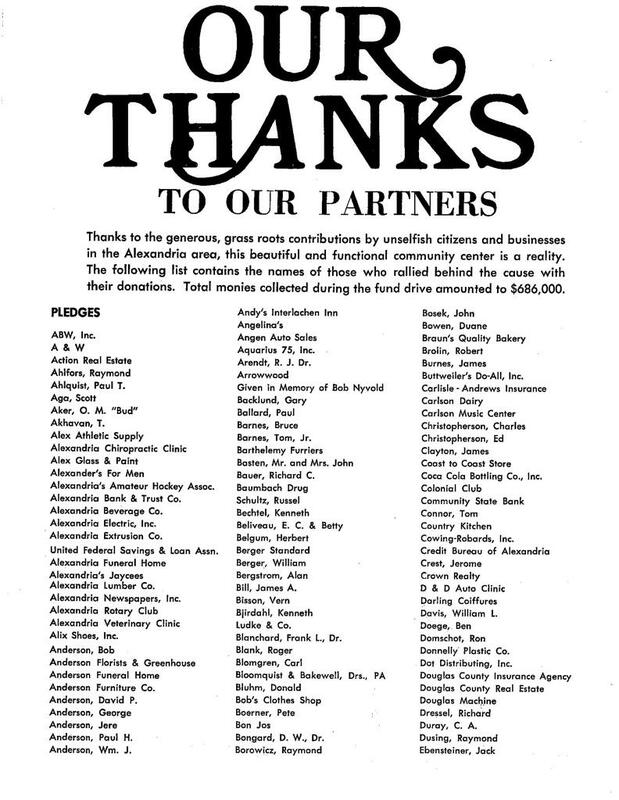 On June 5, 1975, the fund raising efforts received a big boost when the First national Bank in Alexandria announced their committment for 10% of the $500,000 goal, or a pledge of $50,000 payable over a five year period. 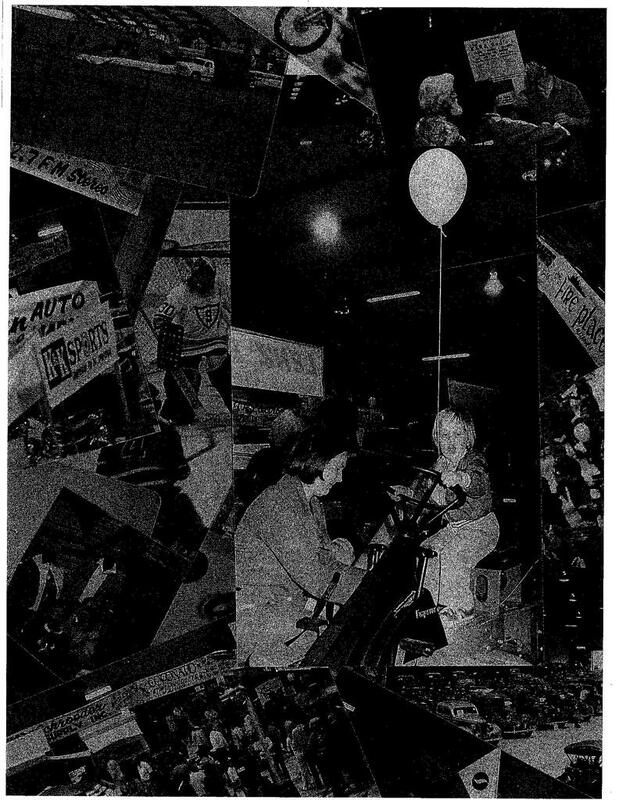 The fund raising efforts - promoted on tax deductible - continued through the summer of 1975. On August 20th, the cut off of the active fund drive, the corporation had secured pledges and contributions in a total amount of $540,000 from individuals and businesses with the Alexandria community. The ultimate result of the fund drive was the receipt of $686,000 in cash pledges and materials. 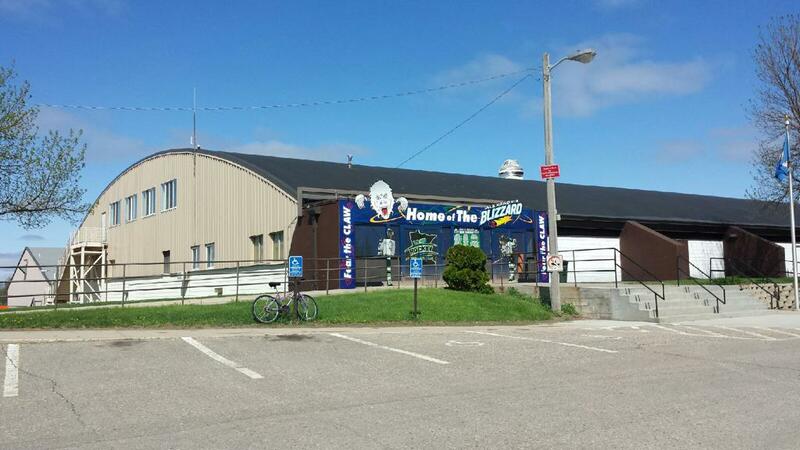 Shortly thereafter, the board of the Runestone Community Center Corporation officially designated a building committee. 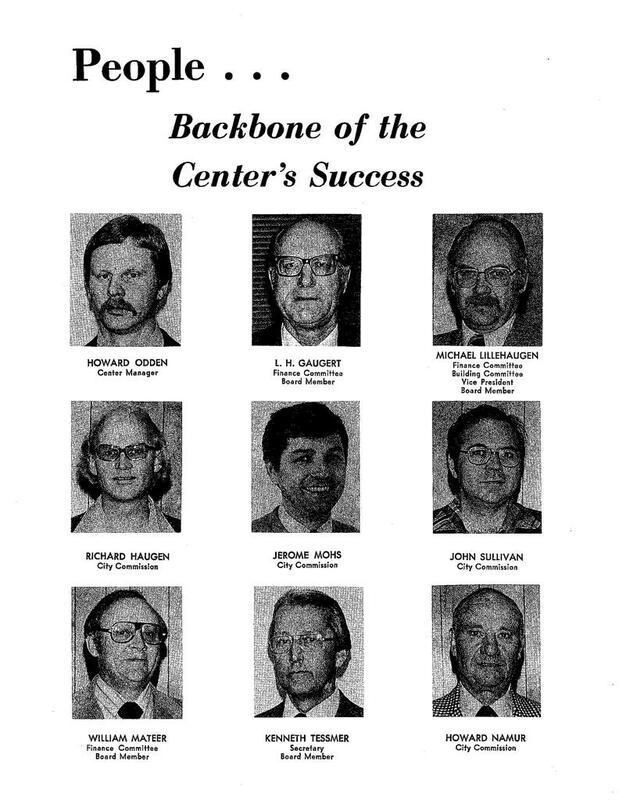 On December 2, 1975, the building committee made a recommendation to the Runestone Board of Directors that the firm of Bonestroo, Rosene, Anderlik and Associates be employed by the corporation to provide design services for construction of the building. 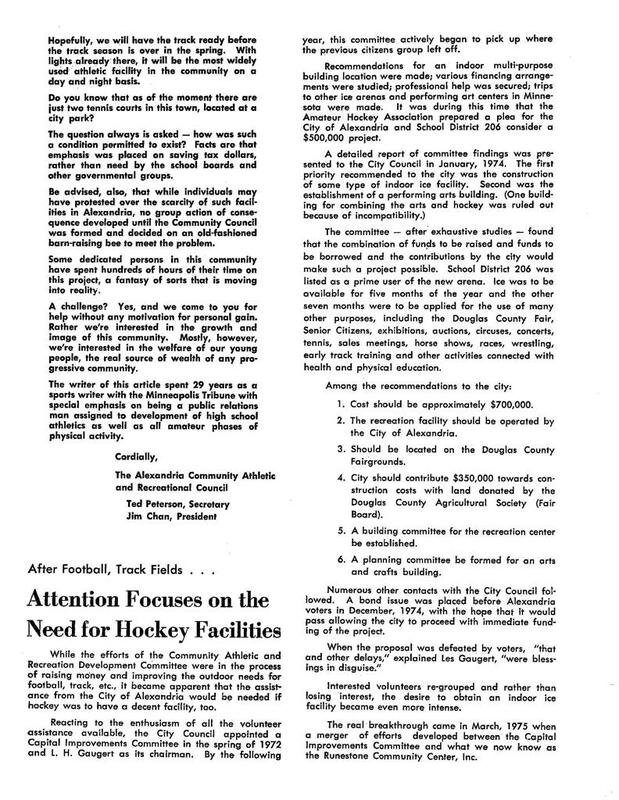 Later that month, the corporation asked the Bonestroo firm to perform a feasibility study of a recreation facility. 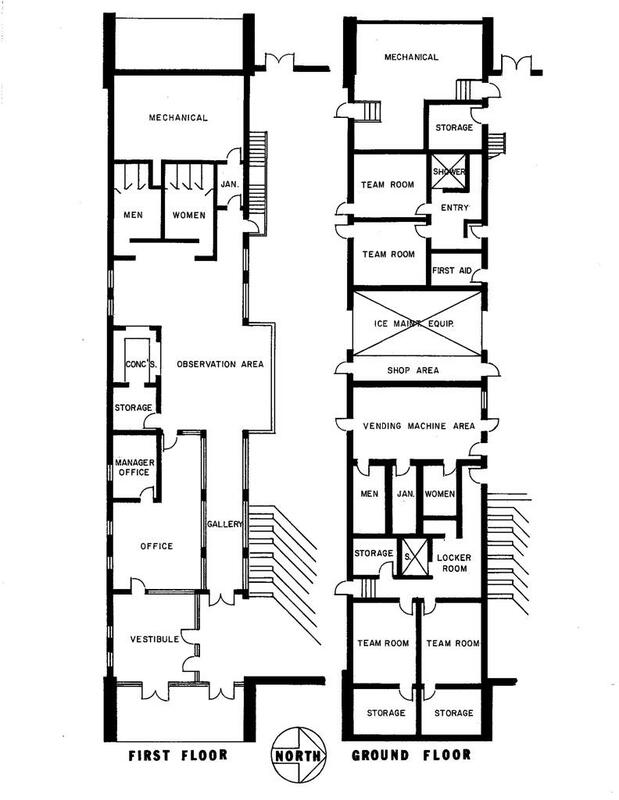 On January 27, 1976, the Community Center Board established a preliminary budget of $840,00 for the construction of a proposed community center. 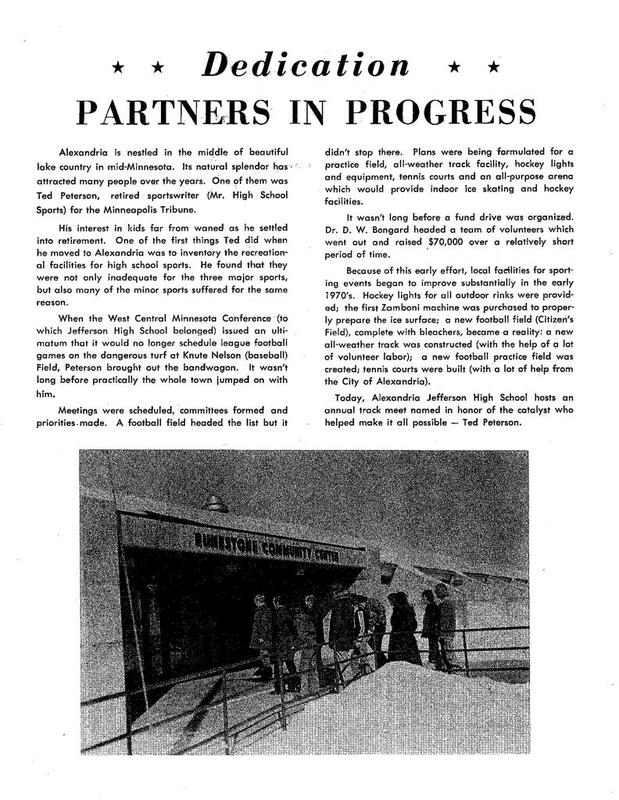 In early February, 1976, the City of Alexandria committed their participation in the community center project to the extent of $300,000 by the issuance of gross revenue bonds. 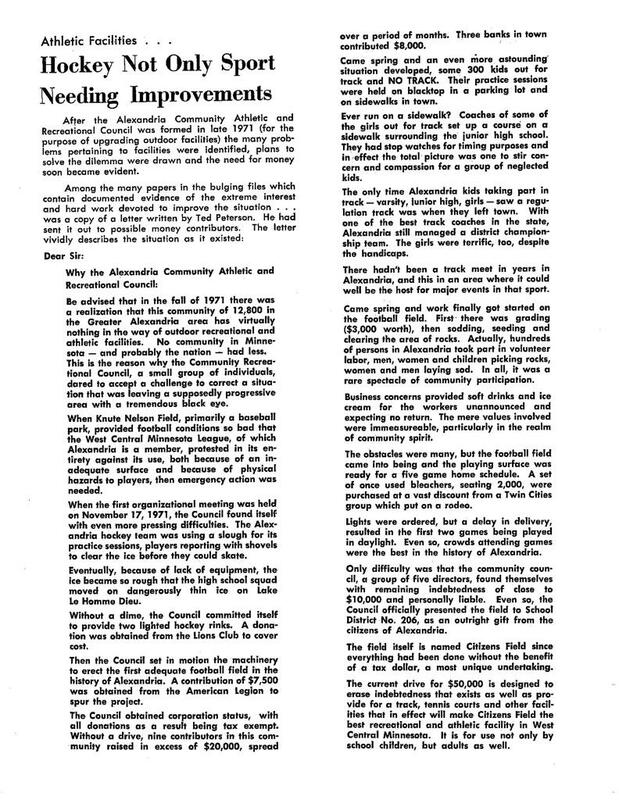 Based upon Runestone board recommendations, the City Council authorized invitations to bid March 1, 1976. 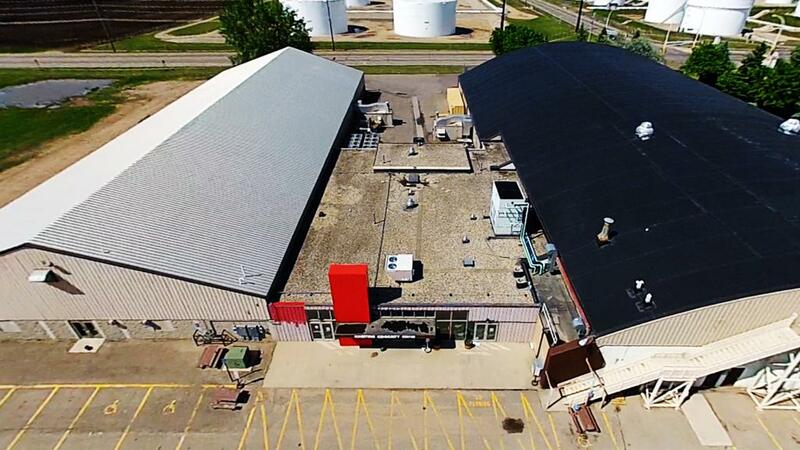 Bids were opened on April 8th with the four low contractors submitting bids for the general, mechanical, electrical and ice systems, totaling $865,965. 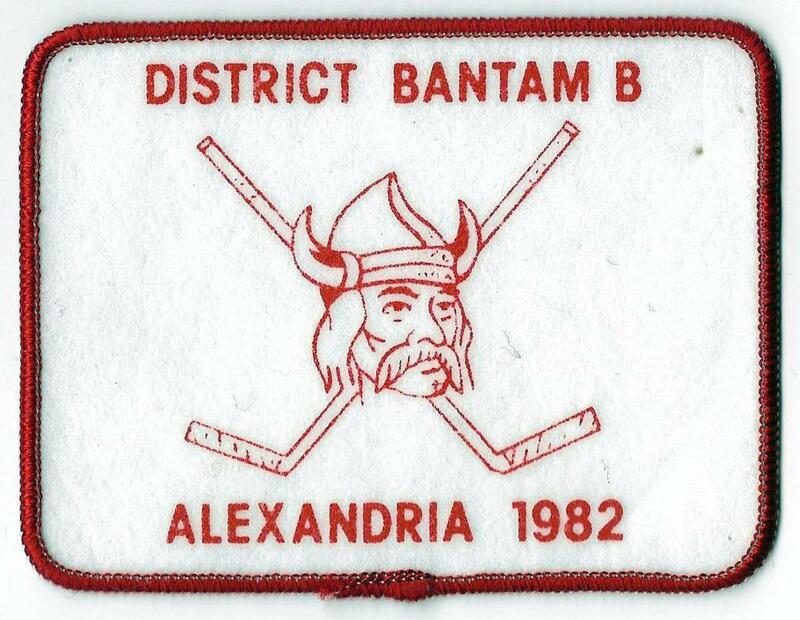 A number of deletions and eliminations were exercised which reduced the total bid amount by the City of Alexandria to $764,374. 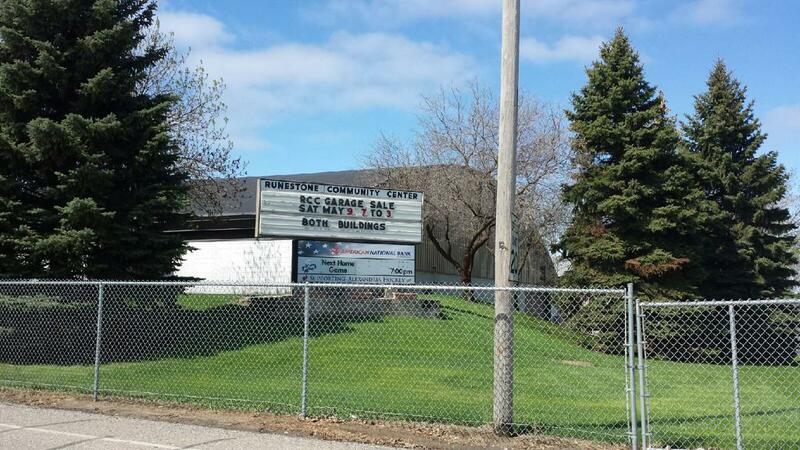 Meanwhile, Runestone Community Center Corporation secured assurances from the local financial institutions that the corporations could make a loan on the security of the unpaid pledges in order to provide the City of Alexandria with a total cash contribution on the project of $428,000. 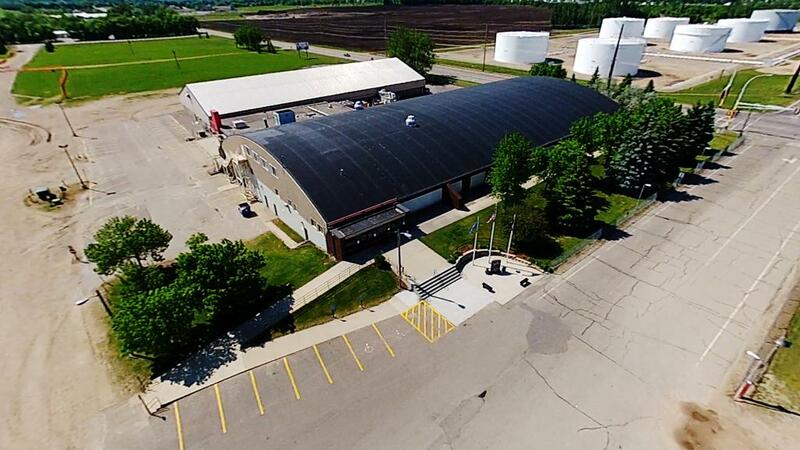 In the interim, the building committee had met withe the Douglas Fair Board and ironed out details and arrangements for a lease on Fairgrounds property for appropriate land upon which the building could be built. 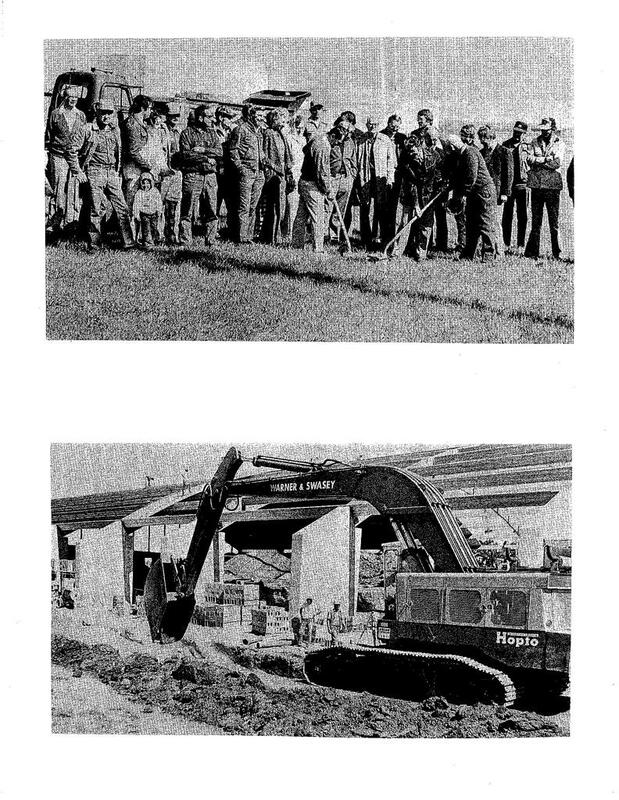 Construction on the project was commenced and ground breaking ceremonies were conducted on May 30, 1976. 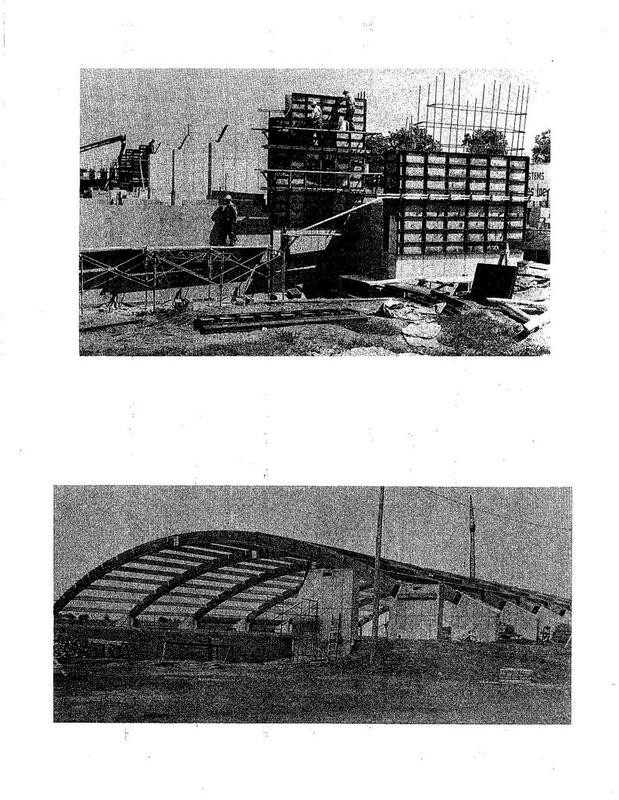 The initial scheduled completion had been for November 30, 1976 however, because of unforeseen delays and routine problems in the construction project, ice was first made in the facility on January 28, 1977. 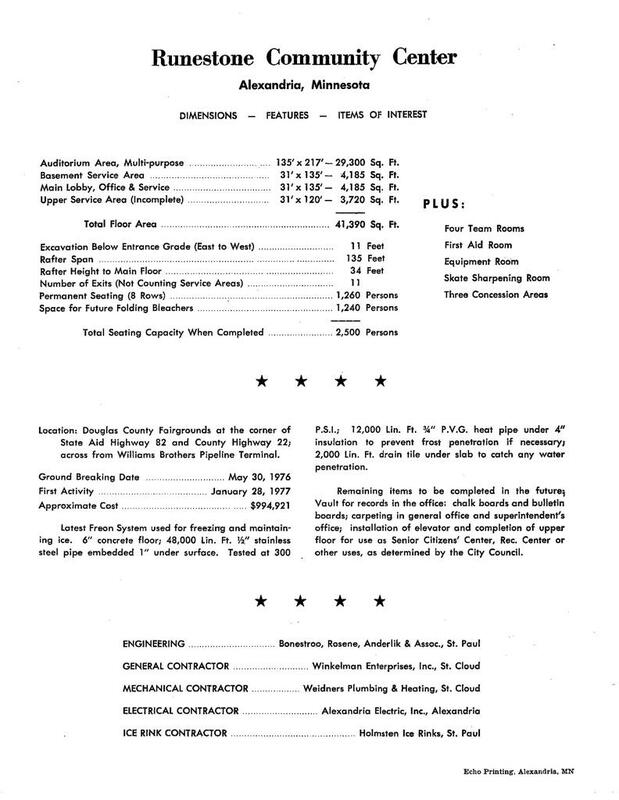 The cost for the building in the initial phase of construction were $819,339. 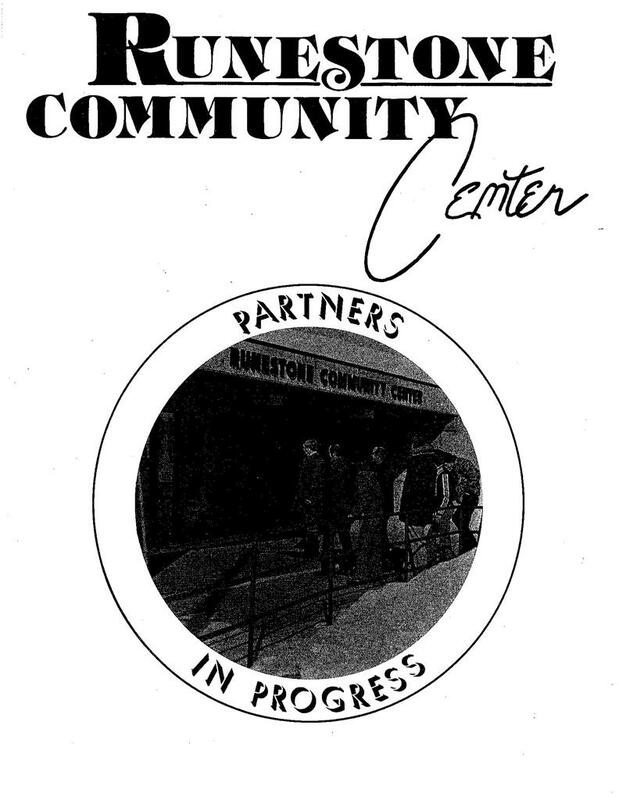 In addition thereto, the Community Center Corporation made certain contributions to the project in the total sum of $77,853. These sums were paid by the corporation to take case of the various contingencies and to provide for bringing the status of the building to desirable standards. 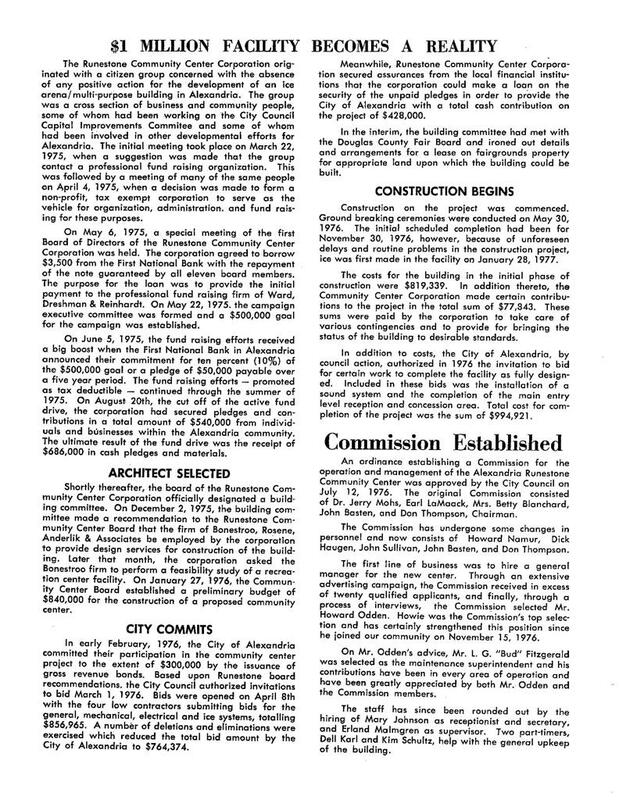 In addition to costs, the City of Alexandria, by council action, authorized in 1976 the invitation to bid on certain work to complete the facility as fully designed. 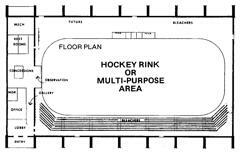 Included in these bids was the installation of a sound system and the completion of the main entry level reception and concession area. Total cost for completion of the project was the sum of $994,921. 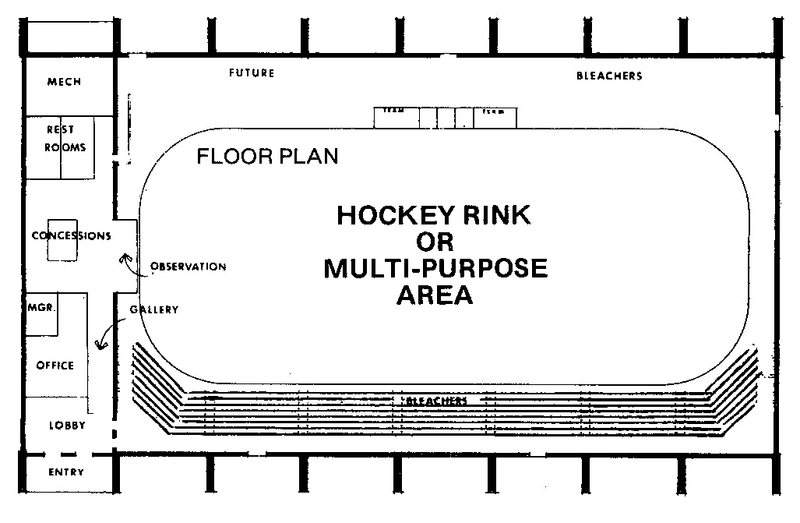 The original 1976-1977 rink shares the same designs of 1974 built Cottage Grove Arena, and 1975 built New Hope Arena. 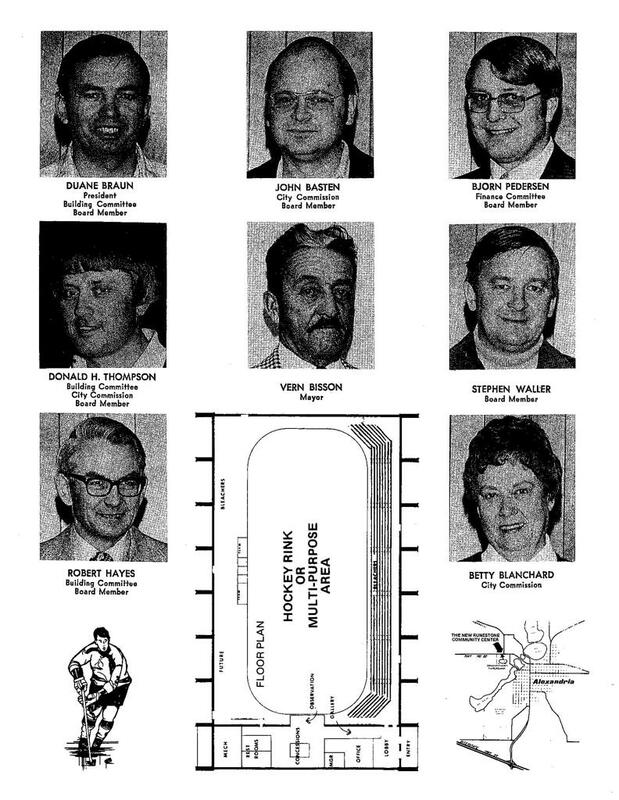 Following opening, the arena was dedicated on March 12, 1978 with several guest speakers, capped off with a Senior Men's hockey championship game. 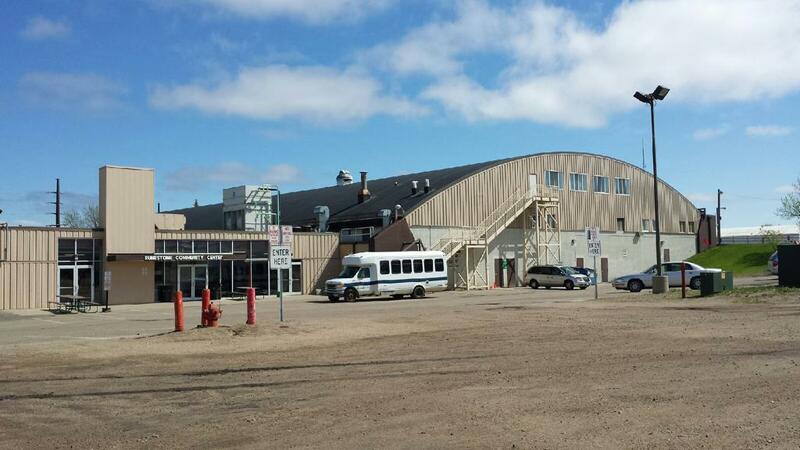 Runestone today has grown to be a two ice sheet facility, to meet the growing demands of the local community. 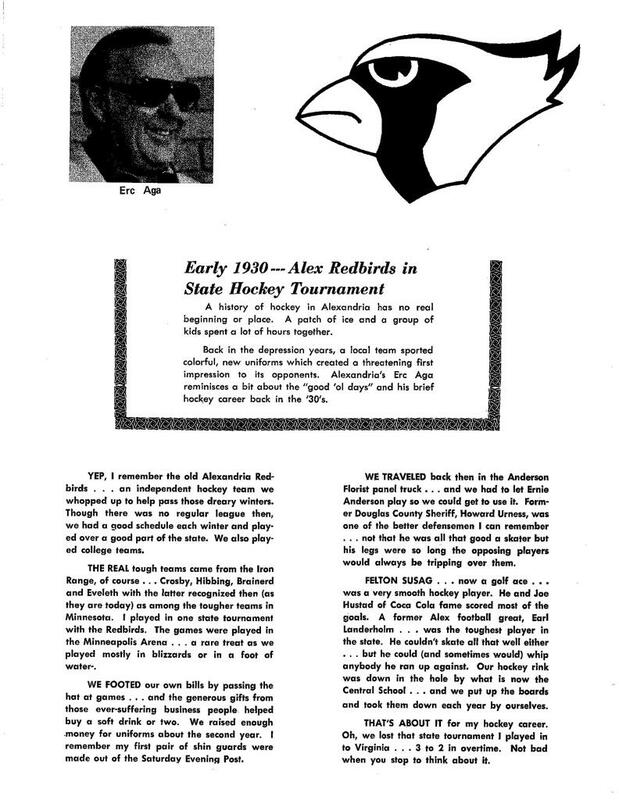 Runestone is home to many community events, including the Alexandria Cardinals boys and girls hockey association, and also serves as the home rink for the Alexandria Blizzard NAHL hockey team in addition to the Viking-land Curling Club & Alexandria Figure Skating Club.